These "Things I want right now" posts are going to come back now and then. There are just too many nice things out there for me to be able to just ignore them. 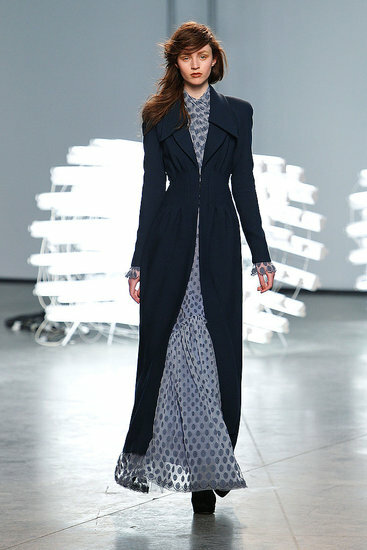 The things I will show you today comes, just like last time, from different designer's fall 2011 collections. A lovely coat for the fast approaching fall! Another lovely coat + dress. Yes, you can still wear transparent, flowing dresses even though the temperature drops! Stockings underneath and something warm over it will keep you from turning blue. A fur coat always work! The only time I wear real fur though, is if it's vintage. Or maybe this one...Or why not both?!!! The last dress for today - DIOR! Transparent and flowy! Me like. Me like a lot!! !